Happy, happy Friday! Of course there is a new challenge over on TGIF Challenges. This week's challenge is very broad; the only condition is to use something new. You guys blew us away for last week's challenge, so I can't wait to see what you create this week! I used lots of new stuff on this project. The stamp set, accessories, some of the paper, and even a color are new to the Annual Catalog. 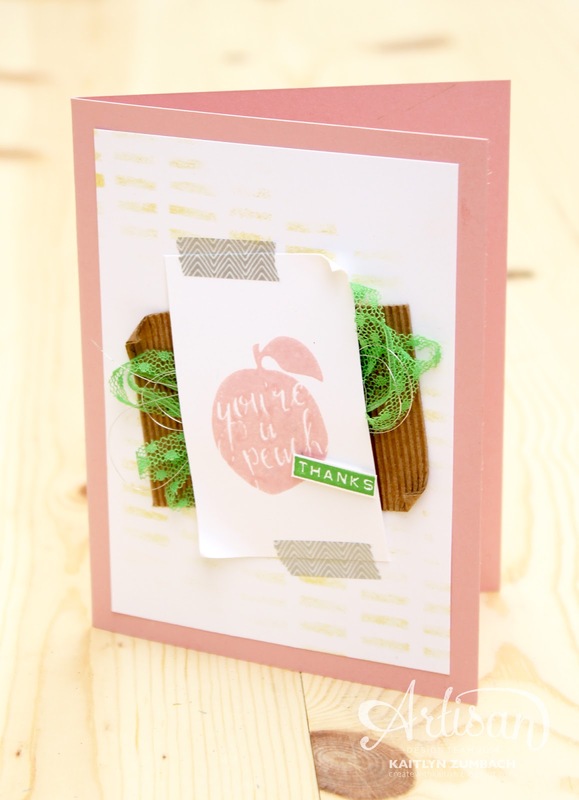 This card was for a new product swap last week, so it is perfect for this challenge. I love the fun layers on this card! Curling up the corners on some of the layers adds some unique texture. You may have noticed the Corrugated Paper showing up a lot in my projects, and don't expect it to go away any time soon. This paper is my new favorite! 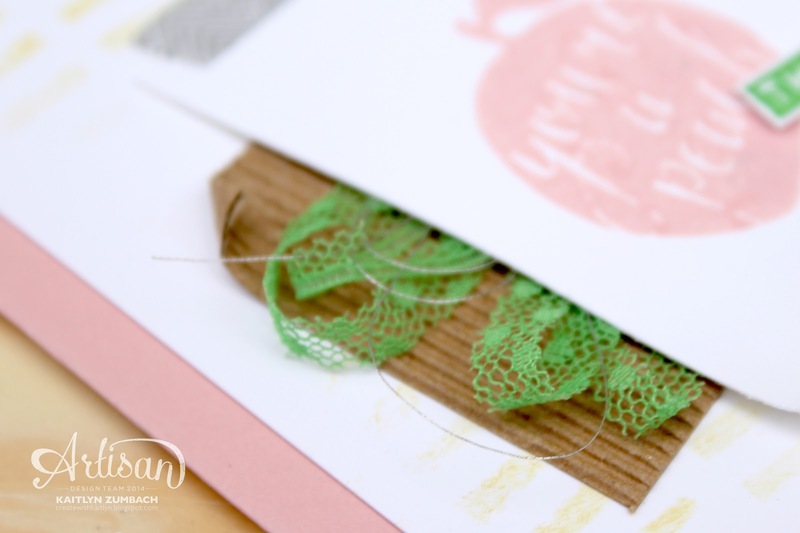 To create the messy ribbon look, just gather it in center of a layer and staple it. Remember it is supposed to look messy and carefree! 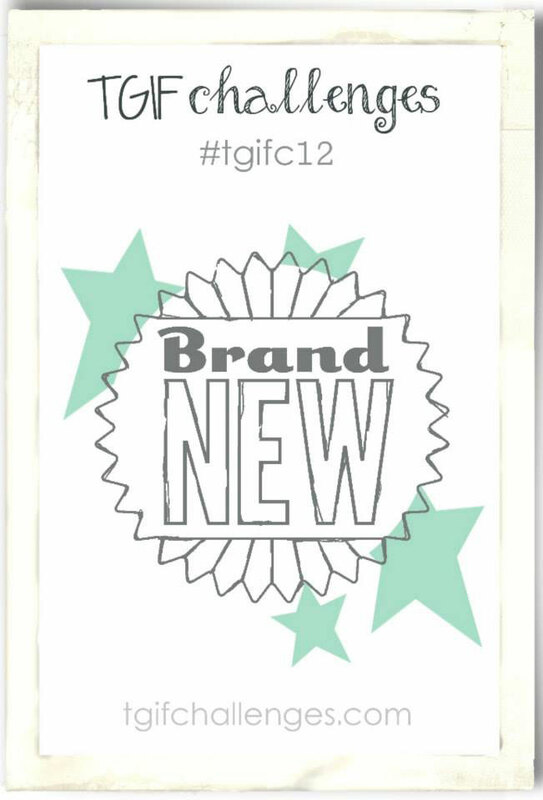 Head on over to TGIF Challenges to see more inspiration before you join the challenge! So awesome! Love all your details! Love the pop of green with that beautiful soft pink - so pretty. What a great use of the lace. Just gorgeous!